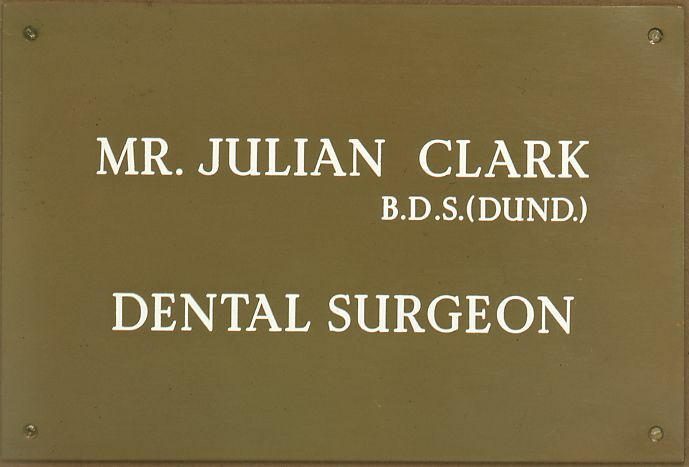 Appearance means a lot in a professional environment, so we provide high-quality nameplates that are sure to impress. 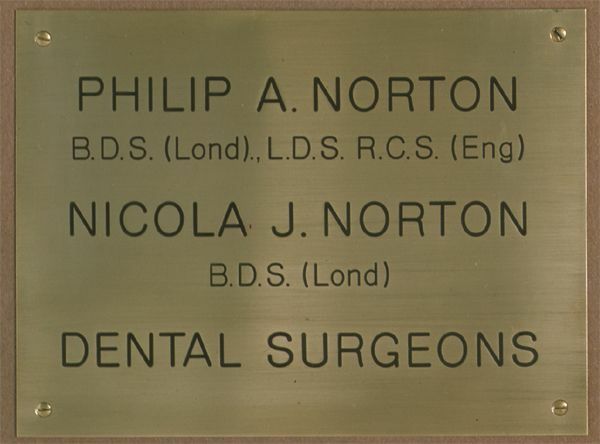 Serving clients throughout the UK, we guide you on content, provide you with a design, and suggest an appropriate material from our fine range of prestigious engraved nameplates. 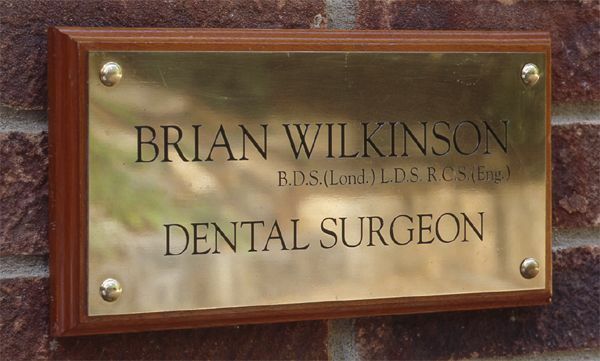 Certain professional bodies make it part of your practice inspection, so it’s important to ensure that your nameplate suits your needs. 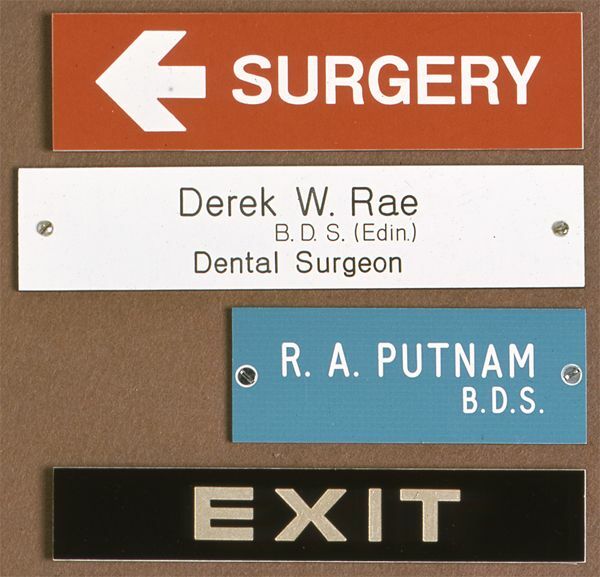 This option looks great inside or out throughout the year, and it’s perfect for nameplates, plaques,and external signage. 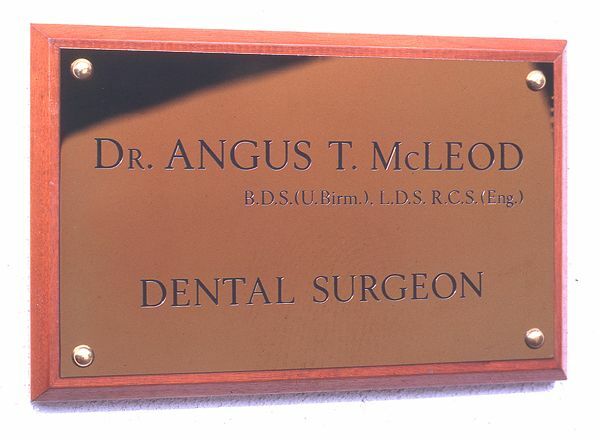 It’s created using a metal alloy that does not tarnish or corrode, so you don’t need to polish the nameplate! Polished Brass - The most popular choice. Polished Lustele™ - You don’t have to polish this option! Stainless Steel - Contemporary and clean cut. Anodised Aluminium - Modern and versatile. Dark Sepia Bronze - Resonates with classical style. Plastics – An extensive choice of colours and finishes. 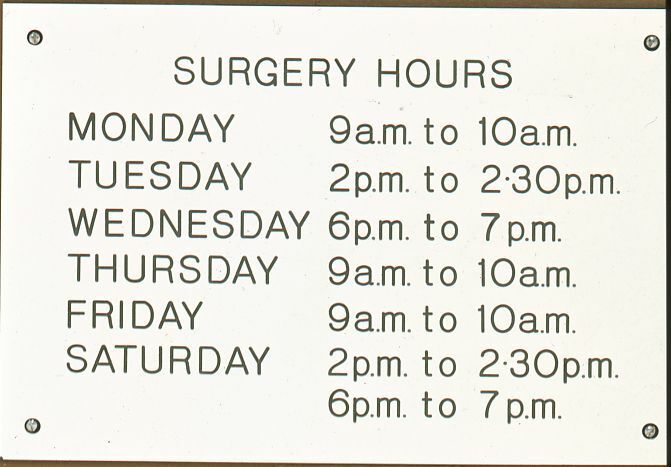 CONTACT our trusted team to find out more about our high-quality engraved nameplates.